In the late 1950s a small group consisting of approximately 10 persons, representing Danish, Swedish and Norwegian companies in Japan, started to meet on a regular basis at Imperial Hotel in Tokyo. The purpose of the meetings was to exchange views on business opportunities in Japan, and to assist Scandinavian newcomers with advice as to how to get started "on the right track". The number of attendees gradually increased. In the mid 1960s it was agreed to split up nationally, and the "Danish Businessman Club" was subsequently established. 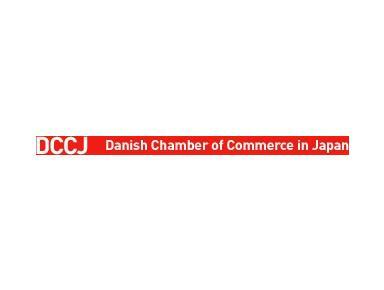 The change of name into　the "Danish Chamber of Commerce Japan" ("DCCJ") and a new set of by-laws were agreed upon in 1990, outlining the primary objective of the Chamber to be promotion and strengthening of the business relations between Denmark and Japan. DCCJ is a member of the European Business Community in Japan and supports the JMEC (Japan Market Entry Competition) as arranged in co-operation with other Chambers of Commerce. The DCCJ´s mission is to promote and support the business development between Denmark and Japan. To promote the interests of DCCJ Members, improve and strengthen the business environment between Denmark and Japan.